Watch What Carbs You Eat to Reduce Your Risk of Further Gum Disease - Bryan J. Roy D.D.S., M.S.D., P.C. By Bryan J. Roy D.D.S., M.S.D., P.C. If you’ve had issues with periodontal (gum) disease, no doubt a few things have changed for you. You may be seeing us for dental cleanings and checkups more frequently and you have to be extra diligent about your daily brushing and flossing. There’s one other thing you may need to do: change your diet. Some of the foods you may be eating could work against you in your fight against gum disease. At the same time, increasing your intake of certain foods could boost your overall oral health. The biggest culprits in the first category are carbohydrates, which make up almost half the average diet in the Western world, mainly as added sugar. 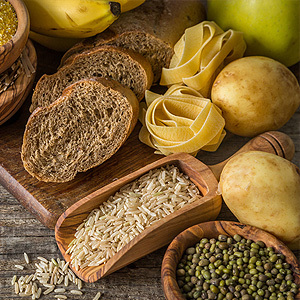 Although carbohydrates help fuel the body, too much can increase inflammation—which also happens to be a primary cause of tissue damage related to gum disease. Of course, we can’t paint too broad a brush because not all carbohydrates have the same effect on the body. Carbohydrates like sugar or processed items like bakery goods, white rice or mashed potatoes quickly convert to glucose (the actual sugar used by the body for energy) in the bloodstream and increase insulin levels, which can then lead to chronic inflammation. Complex or unprocessed carbohydrates like vegetables, nuts or whole grains take longer to digest and so convert to glucose slowly—a process which can actually hinder inflammation. Eating less of the higher glycemic (the rate of glucose conversion entering the bloodstream) carbohydrates and more low glycemic foods will help reduce inflammation. And that’s good news for your gums. You should also add foods rich in vitamins C and D (cheese and other dairy products, for instance) and antioxidants to further protect your oral health. Studies have shown that changing to a low-carbohydrate, anti-inflammatory diet can significantly reduce chronic inflammation in the body and improve gum health. Coupled with your other efforts at prevention, a better diet can go a long way in keeping gum disease at bay.